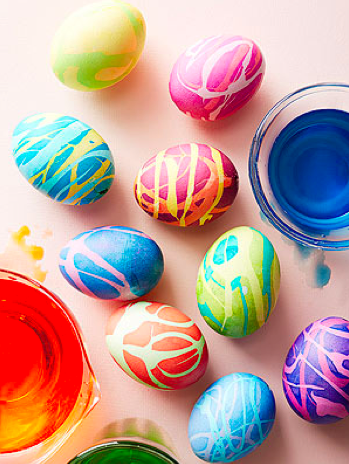 Eggs in Every Color…an Easter Craft Round-up! 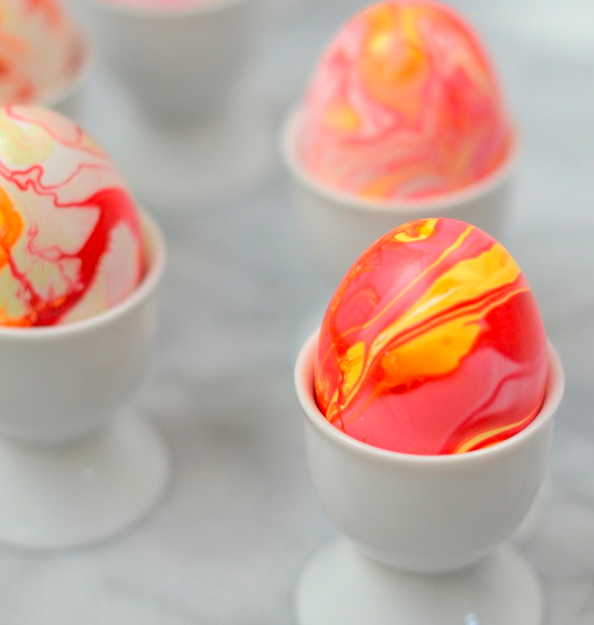 Coloring eggs this weekend? Here are five fun methods to try for all skill-levels. 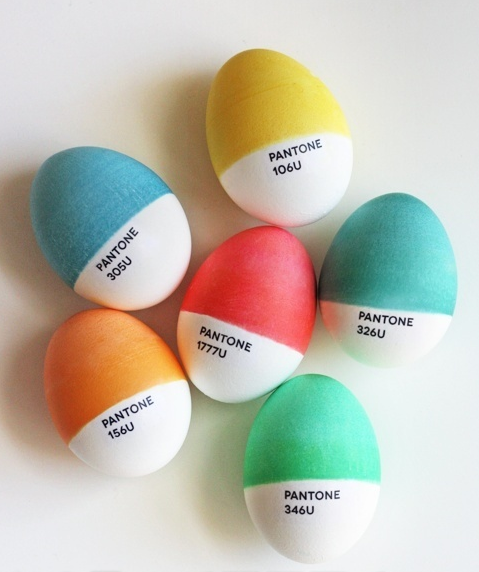 Pantone Eggs (via How About Orange). Easier than you thought! Marbelized Eggs (via Camille Styles). Not food safe, but totally gorgeous. 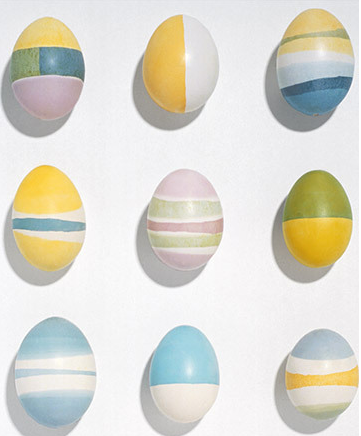 Wax Patterned Eggs (via Martha Stewart Living). Because is it really a craft round-up without a MSL project? No, it’s not. Rubber Cement Swirls (via Parents). Genius, and reminiscent of my 80’s childhood with the rubber cement. As a relevant aside (is that a thing?) 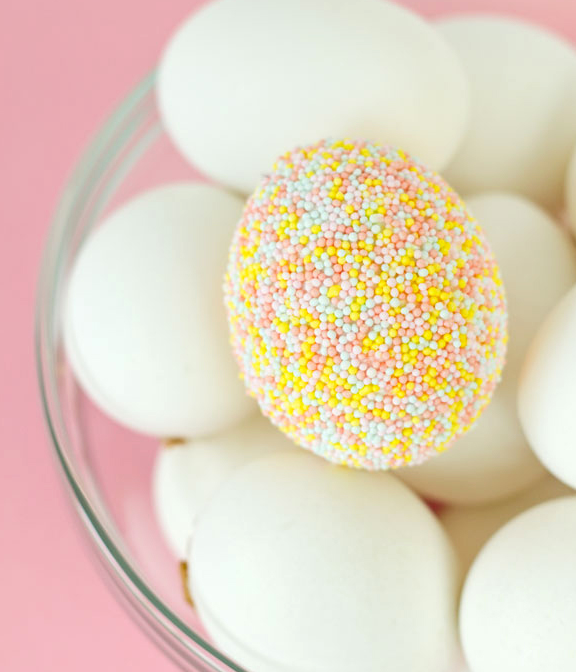 I read on Slate this week that the correct way to boil eggs is to immerse them in a pot of water, bring it to a rolling boil, then turn the heat off and let them sit there, covered, for 10 minutes. Not 8, not 12, just 10. Apparently this allows the yolks to cook-through completely without making the whites rubbery. Who knew?